MagicEzy Tile Fix is a revolutionary nano-sealant which structurally repairs cracks & chips in one application. Use on chipped ceramics, stone, laminate, wood, kitchen appliances & more. Easy to color-match ‘Starter Kit’ available with helpful instructions. Flexes to prevent cracks from spreading further. Pre-tinted in popular household colors which can be easily blended to match virtually any color. Easy to apply. A hairdryer and toothpick is all that is required! 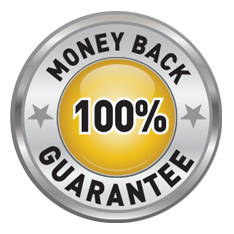 If you are not delighted with the results of MagicEzy Tile Fix, or are not satisfied with your purchase in any way, simply return it to MagicEzy (with the receipt) within 60 days and they will provide a full refund or replacement. *For plastic or aluminum surfaces, prepare the surface using MagicEzy Mega Fusion first. FOR USE IN WET AREAS. After 2 hours cover the repair with sticky tape. Keep sealed for 2 weeks until full strength is achieved. After use store TILE FIX in a cool area. At 70ºF / 20º C (In cooler conditions, allow more time): Re-coat after 2 hours. Avoid any contact for 48 hours after application. Avoid getting wet for 14 days (If necessary, cover area with a temporary shield. Eg. sticky tape ). MagicEzy will continue to strengthen and harden over the next 2 to 4 weeks. 1. Using a needle scrape to remove surface dirt out of chips I cracks. 2. Scrub damage using a nail brush plus 2 drops of dish-washing detergent in a cup of water,then water rinse. 3. Shake the tube FAST for 2 minutes to mix. 4. Ensure repair area is as cool as body temperature. 5. Apply one drop to cracks or enough to fill the chip. 6. Tum tube 180 degrees to the 'LEVEL' Spatula. 7. Rapidly wipe the TILE FIX 10 times with LEVEL into the crack. This thins and pushes TILE FIX inside the damage. 8. When tacky, clean the "LEVEL" with a tissue, then wipe away smears. 9. Repeat step 7 until all smears are deaned. 7. Wipe once with LEVEL spatula. 8. Clean LEVELwith tissue and wipe off remaining smears from repair. 9. Repeat until all smears are removed. DRY repair with Hairdryer for 2 minutes. Repair is touch dry in two hours. Deep damage may require up to 4 coats. Full strength is ACHIEVED 2 weeks.